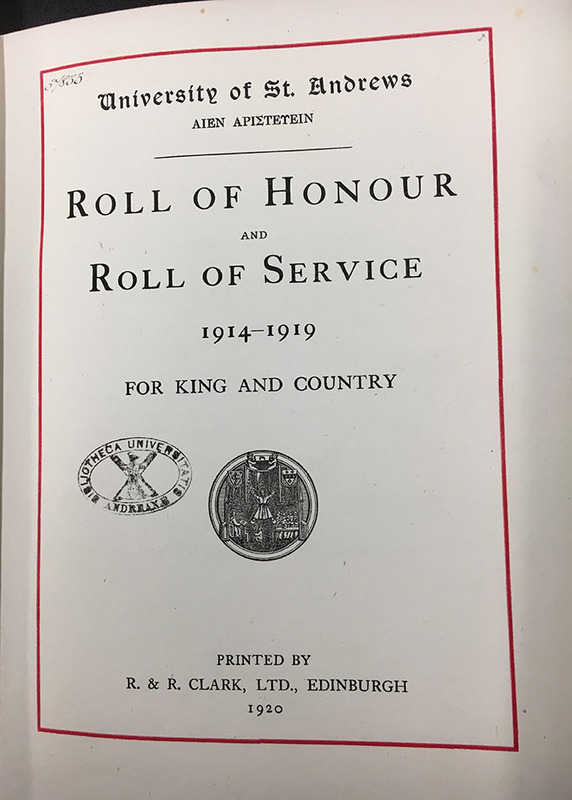 As part of the British Home Front week in St Andrews, the University Library’s Special Collections Division is hosting a drop-in session on the morning of Saturday 23 June, where visitors can see surviving original letters, diaries, postcards and photographs from World War I. The session begins at 11:30. 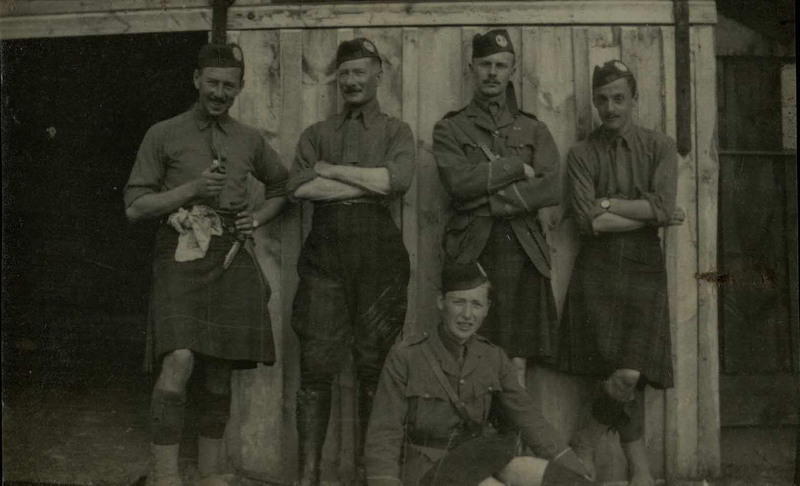 We hope to give a sense of what it would have been like to live in Scotland during 1914-18. Through local newspapers we will be able to see how both local and battlefront news was reported, alongside adverts for the latest pills and fashions. 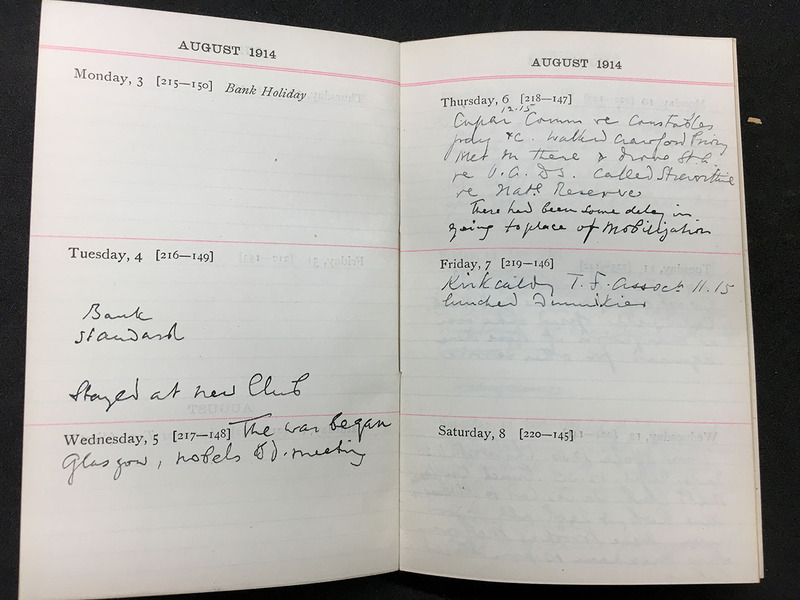 Personal diaries written in Fife record daily events: the weather, births and marriages, and the good and bad war news that came to most families. 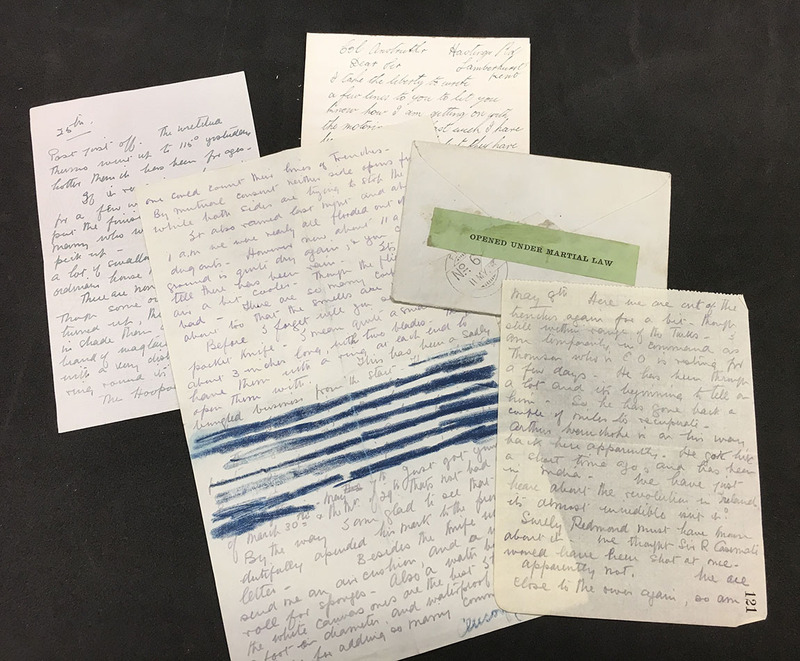 There are original letters received by mothers, giving news of their boys at the front, thanking them for parcels from home, telling them what they’ve been up to, and, sometimes, giving too much detail which was erased by the Censor. Imagine how important every word received was, and how hard it must have been to accept that some sections had been erased. There are telegrams too, reporting sons and fathers missing in action or notifying families of deaths. 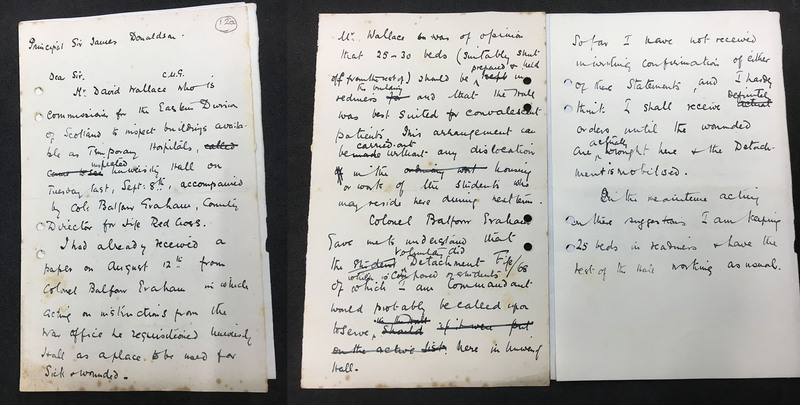 Letters from commanding officers give accounts of heroic conduct; letters inform families of the award of medals; letters are received from men thought missing in action but happily later found, and letters too about the personal effects and graves of those who died. There are accounts of the vital and amazing work of the war graves commission, and the CWGC will be present to explain their ongoing activity. Photographs of gravestones and records show a family keeping memories alive into following generations. 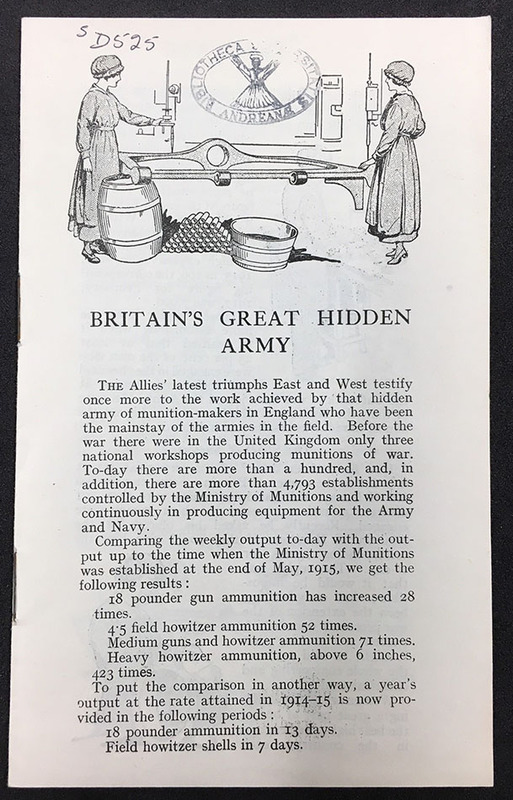 We’ll have official postcards on show – sold to keep up morale and to show those at home what it was like for their loved ones at the front and the effect of war, as well as making propagandist points. 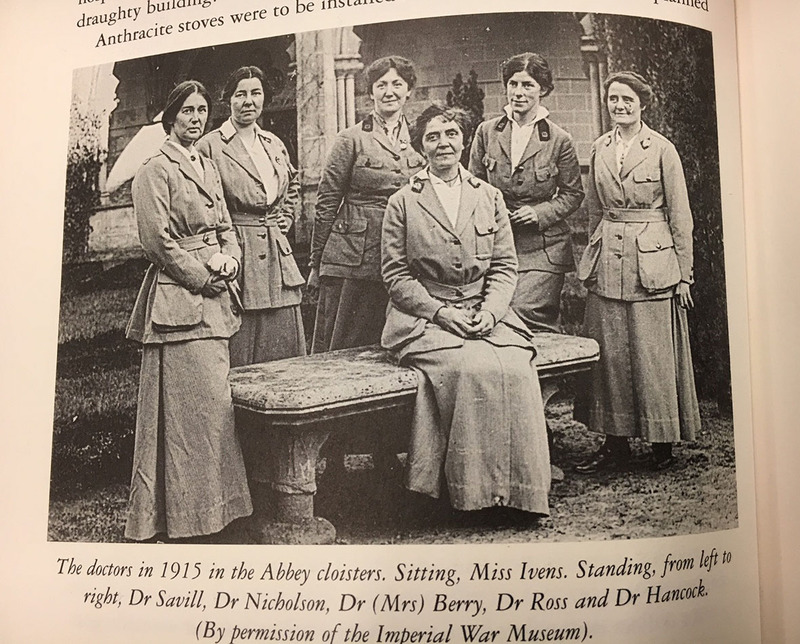 The life of Fife continued during 1914-18 and we’ll show how the University supported the war effort through the work of its alumni including Dr Agnes Savill, first female graduate as Agnes Forbes Blackadder aged 20 in 1895, who established the radiography unit at the Scottish Women’s Hospital at Royaumont in 1915. She made a pioneering study of the x-ray appearance of gas gangrene. The University Chemistry labs were active in researching sugars and anaesthetics as well as analysing the contents of gas canisters and there is official war office correspondence about this, and we’ll realise the cost to the university community through the loss of staff and students remembered in the Roll of Service and Roll of Honour. Women played a vital part in the war effort and undertook a wide variety of roles. We have letters about the Red Cross VAD unit at University Hall where the Ladies Residence was requisitioned as a temporary hospital. 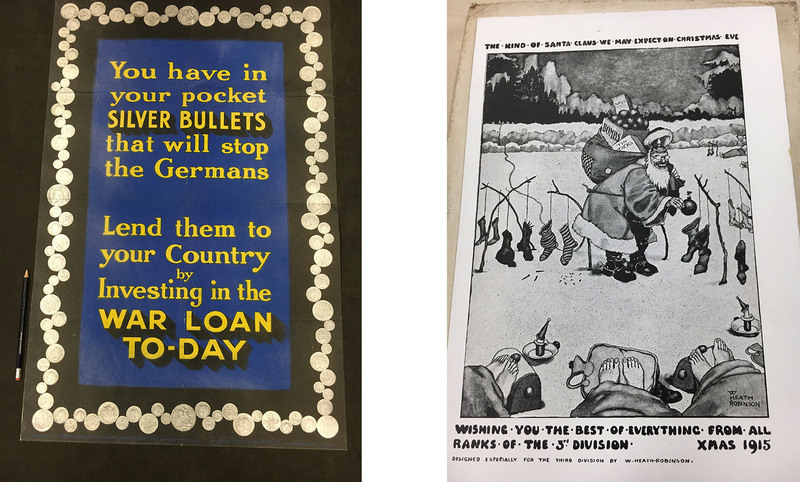 Wartime posters will be on show, asking the community to support the war effort through the purchase of war bonds. There are regimental photograph albums, and the black humour of regimental Christmas cards as well as a poignant photographic record of one stately home turned into a hospital. 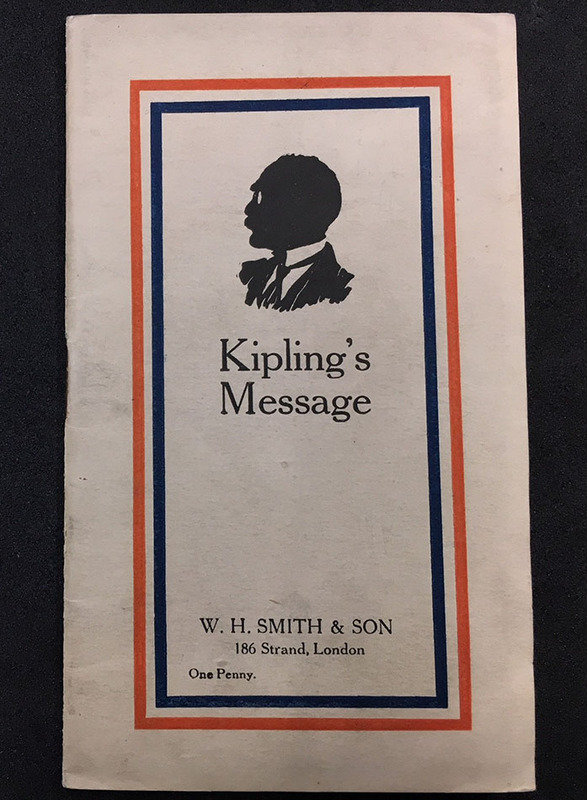 We’ll also see how public figures were used to explain the war to the population – the writings of Rudyard Kipling, later Rector of the University, and leading Catholic clergy will be on show. From all these sources we can gain an understanding of the life of those left at home, sorely missing loved ones, and waiting for letters with mixed anticipation and dread. We can start to understand what enlisting entailed, how the soldier prepared for war (see our earlier post at https://standrewsrarebooks.wordpress.com/2014/02/20/52-weeks-of-historical-how-tos-week-17-how-to-pack-for-active-service/) and how they were trained before being sent to serve overseas. And alongside this we can’t avoid some of the horrors of war, the legacy of bereaved families, women whose roles changed dramatically and whose lives were never the same, and the injured and wounded who returned after the war was ended. What you won’t see on Saturday are the aspects of the war which have been well-covered in the past four years – the military campaigns, life in the trenches, propaganda and the political victories. But here is a glimpse of ordinary life carrying on while the world was at war … and the opportunity to have that glimpse is yours on Saturday morning. We look forward to welcoming some of our readers to the Napier Reading Room in the Richardson Research Library at Martyrs Kirk, North Street from 11:30-13:00.